After 50 years guiding adventurous travelers through the most spectacular rivers and canyons in the West, Western River Expeditions has carefully crafted what we consider to be the best white water rafting vacations in the world. The setting and pace of an all-inclusive Western River rafting trip give you something you don't find in other vacations. On a Colorado River rafting trip, Grand Canyon rafting vacation, Utah whitewater rafting adventure, Idaho river rafting trip, white water river adventure in Oregon or jungle escape in Costa Rica, you'll find the perfect respite from the hectic world around us–completely free of distractions. Join Western on an unparalleled whitewater rafting journey and discover the relaxation of drifting down river without a care in the world, the exhilaration of rafting America's most legendary whitewater, the exploration of seldom-seen natural wonders, and the peaceful reflection of gazing up at the star studded sky. 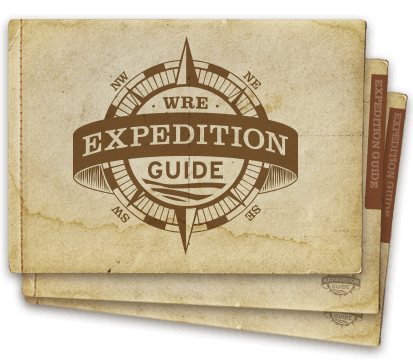 On a Western River Expedition you will quickly discover why so many are calling this "the best vacation of their lives." Call 866-904-1160 today and let us help you find the perfect adventure. The Best Western Rivers "Oh, The Places You’ll Go!" Discover the best white water rafting destinations in the West - maybe even the planet. Journey through the breathtaking redrock canyons of the southwest in Grand Canyon and Utah, punctuated by some of the most legendary white water rapids in the world. Explore the forested mountains of the Northwest in Idaho or Oregon, each with their own unique story. Or, create unforgettable memories at a remote jungle lodge on the banks of Pacuare River in Costa Rica. Where will you go white water rafting? From the thrill of riding whitewater - Hermit, Crystal and Lava rapids, the lullaby of the river and symphony of stars at night, the bounty of food, and the competence, wit and good humor of the guides...it was truly a memorable week.